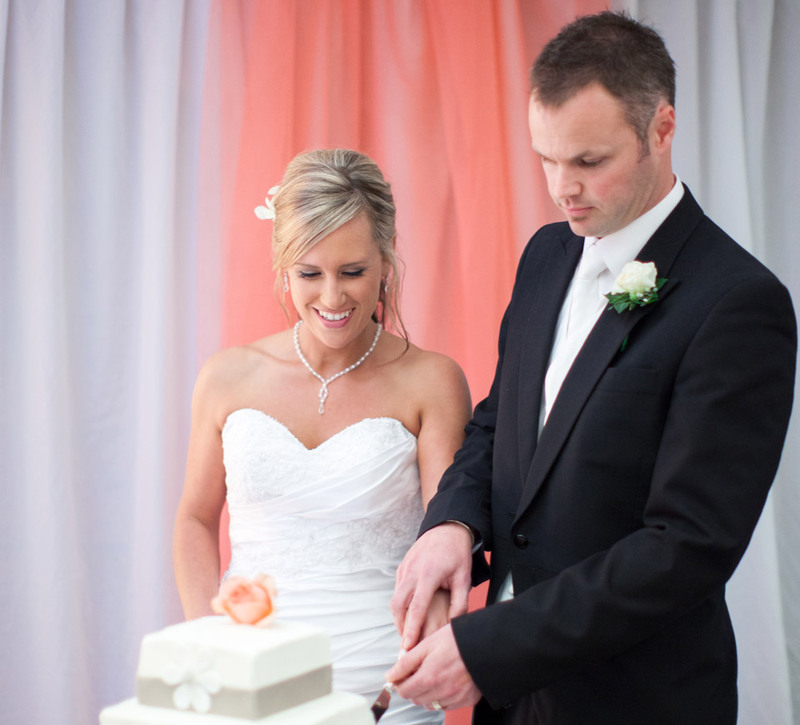 Crystal & Andrew met in Dunedin, spending a lot of their courtship in Hawea & Wanaka. 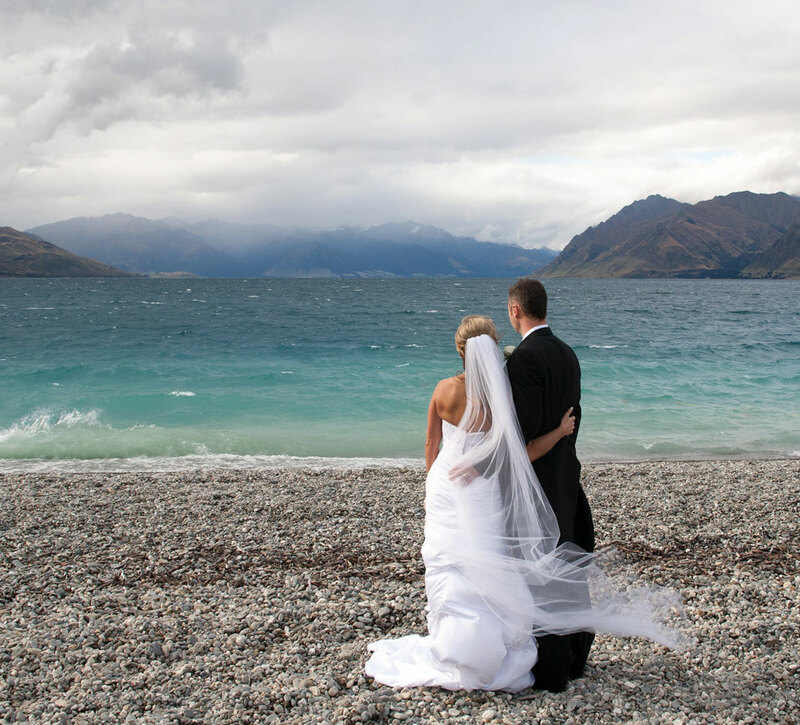 Supported by the most beautiful scenery, their decision to marry in Wanaka was an obvious choice. The Gown – Crystal wore a stunning fitting gown purchased through Robyn Cliffe Couturier, Christchurch. 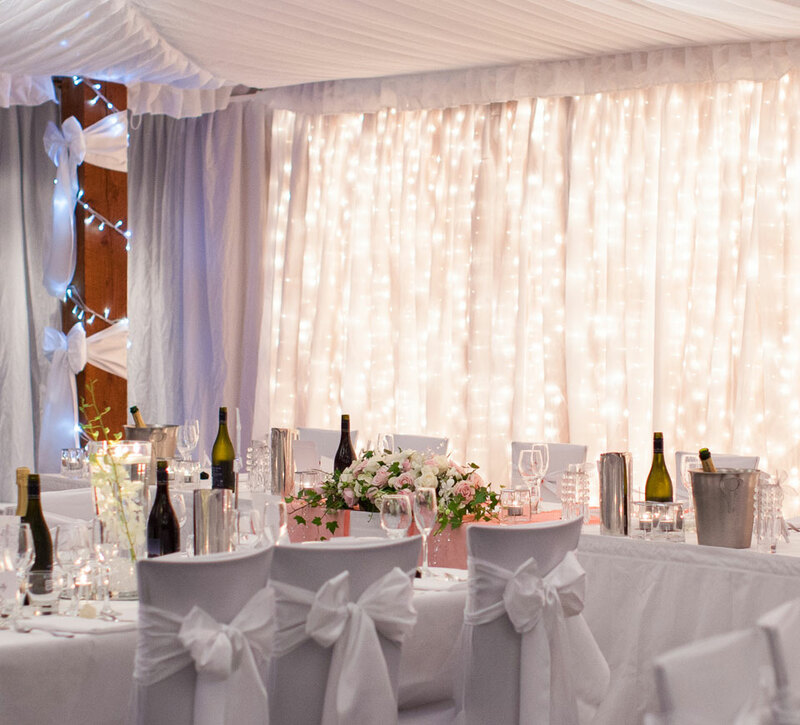 The Experience – Surrounded by family and friend they enjoyed a day full of love, fun, rain and anxiety due to the weather conditions not being exactly as ordered. However, with a surprising break in the weather, they continued with their planned helicopter excursion to the mountains overlooking Lake Wanaka. 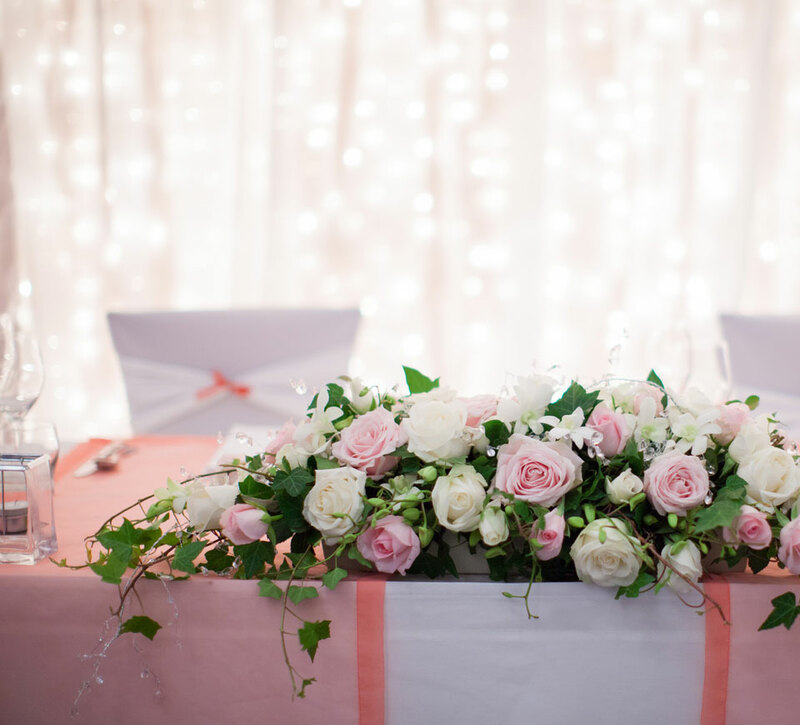 Photographer – Photography by internationally acclaimed Anna Allen, Crystal & Andrew have in their possession the most amazing records of their magical day. By Alpine Images, Wanaka. 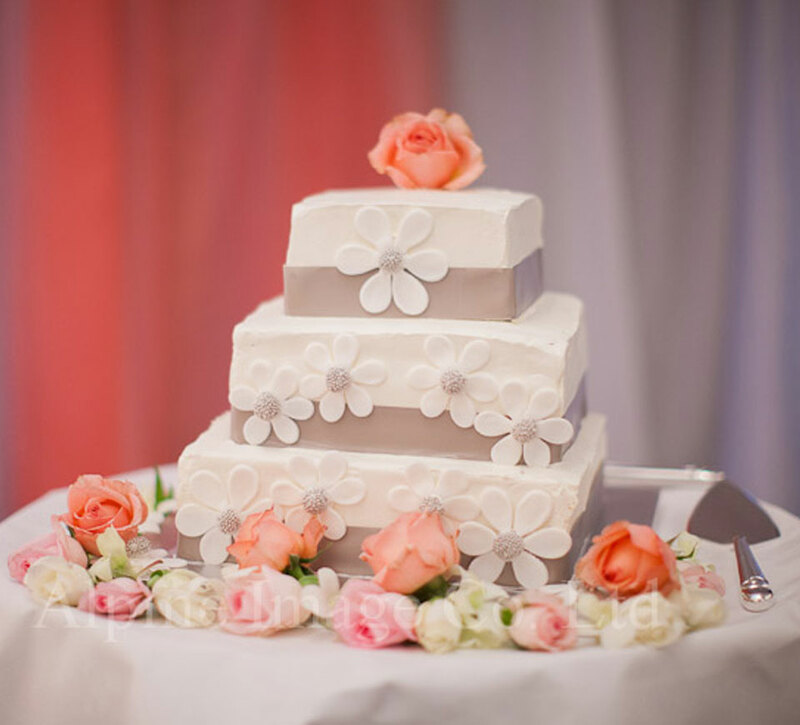 Aspirations – An elegantly modern white wedding reception with attention to detail.